Southwest’s acquisition of AirTran is one big step closer to completion with today’s news that AirTran stockholders have approved the deal. In a statement, AirTran said its stockholders displayed “overwhelming” support for the deal, with more than 98 percent of votes cast in favor. The vote keeps Southwest’s acquisition on schedule to close sometime in the second quarter, or as soon as next month (though likely later). Southwest cannot make or discuss firm plans regarding its post-merger operations until the deal officially closes, but CEO Gary Kelly recently told the Dallas Morning News‘ Terry Maxon that he does not foresee major changes at the outset. “We have no plans to close any cities. We have no plans to add any cities,” Kelly said. He did say the airline will focus initially on Atlanta, learning the market before planning any changes. Atlanta is AirTran’s hub, and is also home to Delta. 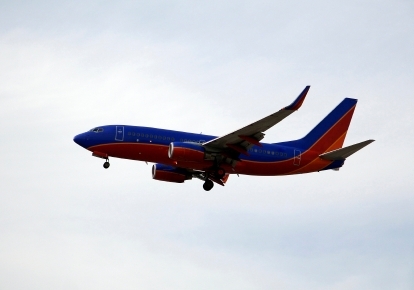 Readers, are you excited for the eventual combining of these two airlines, or do you worry that Southwest might be getting too big?